High Temperature cable makes this probe ideal for use in ovens and hot holding cabinets. Also used in freezers or coolers. Clip can be secured to a rack inside. Probe features a SS shield that protects sensor from touching the inside wall of an oven that could convey a false air temperature. 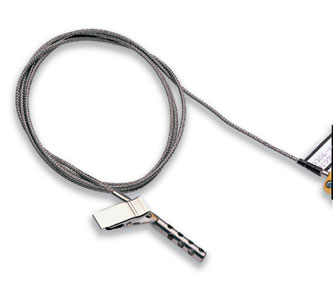 Clip for easy mounting and durable cable that will withstand most door closures.